Was Anything Learned from the Holocaust? For more information, questions or concerns please contact us. December 2018 marks the 25th anniversary of the release of Steven Spielberg’s Schindler’s List, which depicts the true story of Oskar Schindler—a man who saved the lives of more than 1,200 Jews during the Holocaust. It was Spielberg’s experience making this film that inspired him to collect and preserve the testimonies of over 54,000 Holocaust survivors and witnesses, a pursuit which ultimately led to the creation of what is now USC Shoah Foundation. In honor of Universal Pictures’ rerelease of Schindler’s List, Echoes & Reflections has created a short, classroom-ready Companion Resource, that will help educators to provide important historical background and context to the film, as well as explore powerful true stories of rescue, survival, and resilience with their students. 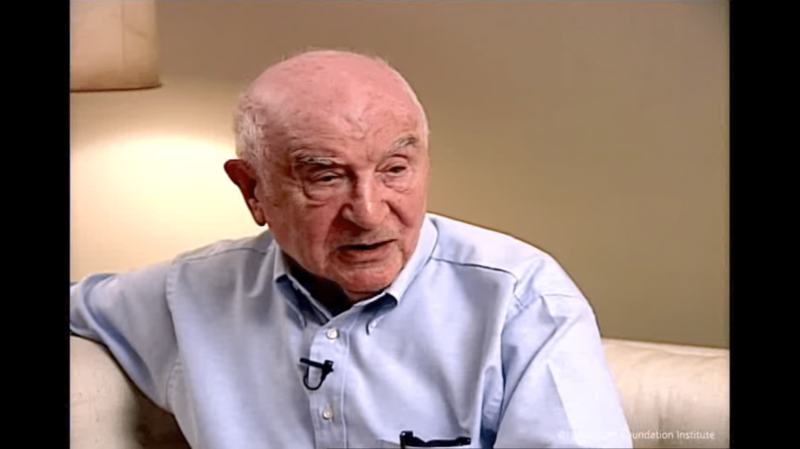 Additionally, the following videos, recorded at Yad Vashem, feature Schindler survivors who speak of the impact Oskar Schindler had on their lives. Eva Lavi was the youngest survivor from Schindler’s list. She was two years old when the war began. Nahum Manor met and fell in love with his wife, Genia, in Schindler’s factory. Watch him read a letter at Schindler’s gravesite, expressing what he meant to them. Visit the IWitness page commemorating the 25th anniversary of Schindler’s List for numerous additional resources to support teaching with this film. We are currently not taking orders at this time. Please check back for future opportunities. Below is information to keep in mind when teaching the content in this unit. This material is intended to help teachers consider the complexities of teaching about anti-Jewish policy and the rise of the Nazi Party and to deliver accurate and sensitive instruction. Students learn about Nazi concentration camps in this unit. The Nazis initially built these camps to control and subdue any opposition from within Germany. Over time, the Nazi camp system branched out to many kinds of camps and their story is the story of millions that Nazi Germany incarcerated, abused, and exploited. The concentration camp system was not established as part of the “Final Solution”; however, as the policy of murder took hold, the concentration camps played a role in it. The “Final Solution” unit provides information about the many kinds of camps that were established during the Holocaust. When using the “Pyramid of Hate” to study the Holocaust, caution students not to think that there was a methodical progression from one stage to the next, ultimately resulting in genocide. The atmosphere of the German state was chaotic, and there was an experimental nature to the Nazis’ actions. Not only is it important to keep that in mind when trying to understand Nazism, but also when trying to understand the Jewish and other victims’ reactions to German policies. Studying about the rise of the Nazi Party in Germany inherently requires students to reflect on the importance of preserving and protecting democratic values and institutions and to consider the role of a responsible citizen in that process. Students may have the impression that the Holocaust was inevitable. Whenever possible, help students recognize that the Holocaust took place because individuals, groups, and nations made decisions to act or not to act. Begin to set the stage for this understanding in this unit. The Weimar Republic was a fragile democracy. This unstable democracy paved a path for the Nazi Party. However, it must be made absolutely clear to students that the German people did not have to vote for the Nazis in the 1932 election; this was a choice they made. The purpose of this unit is for students to learn about the Weimar Republic’s fragile democracy between 1918 and 1933 and to examine historical events that allowed for the complete breakdown of democracy in Germany between 1933 and 1939, which led to the unfolding of anti-Jewish policies. Students will also investigate primary source materials in order to understand how legislation, terror, and propaganda isolated German Jewry from German society. Students also have an opportunity to consider the role and responsibility of the individual in interrupting hate and the escalation of violence. Describe the features of the Weimar Republic. Summarize the key provisions in the Treaty of Versailles. Identify historical events that allowed for a dramatic change in social policies in Germany between 1933 and 1939. Interpret primary source materials—including clips of visual history testimony—that represent a range of Jewish experiences and responses to Nazi-German state policies. Analyze the role and responsibility of the individual in interrupting the escalation of hate and violence. The materials in this unit address many Common Core State Standards. 1 Begin this lesson by having students think about the word “democracy.” Using a web format, chart student responses to the sentence stem “Democracy is…” on the board or on chart paper. 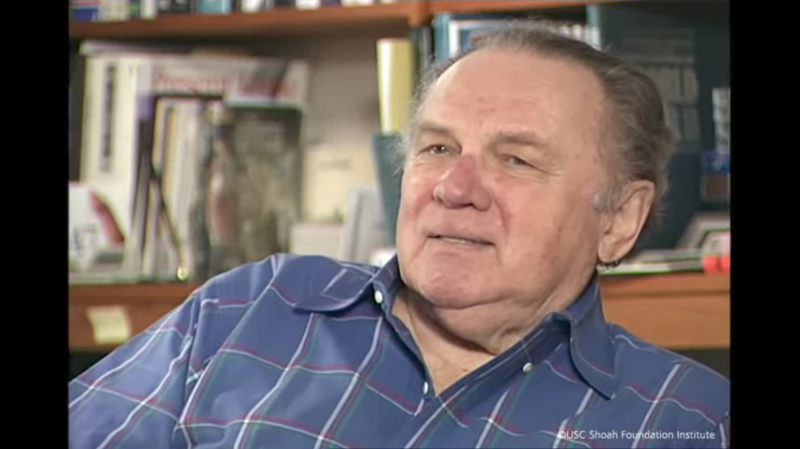 2 Introduce the class to [L]Alfred Caro[/L] and [L]Frank Shurman[/L]; have students watch their clips of testimony; and follow with a discussion using the questions below. In his testimony, how does Alfred Caro characterize the Weimar Republic? What example does Frank Shurman share to illustrate the “insecure situation” that Germany was facing in the early 1920s? How does Frank indicate that Hitler took advantage of the situation? Based on what you heard from Alfred and Frank, how confident do you think the German people were with the status of the government? Do you think that the Nazis’ rise to power was inevitable based on what you read? Support your answer with examples from the text. According to the text, why was the democracy of Germany so fragile? 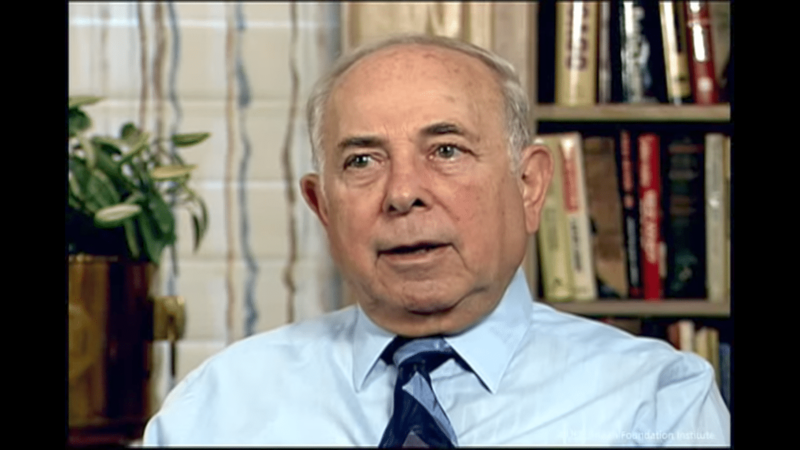 How does information in the text compare to what Alfred Caro and Frank Shurman shared in their testimonies? Considering what was taking place in Germany at the time (e.g., unemployment), how might the German people have viewed what the Nazis were offering as positive steps toward solving the problems the country was facing? Identify one specific point from the Nazi Party’s platform that could have been perceived as solving the problems facing Germany, and explain why it might have been appealing. Can you also see the dangers in what the Nazis offered? Identify a specific point in the Nazi Party’s platform that is particularly dangerous in your opinion, and explain why you chose that particular point. What are the characteristics of a democracy? Do you think that democracy, in general, is fragile? Explain your thinking. How does democracy benefit the individual? How does democracy benefit society? How can a democracy be affected by individuals and society? What are some ways that a democracy protects itself so as to avoid becoming a totalitarian state? 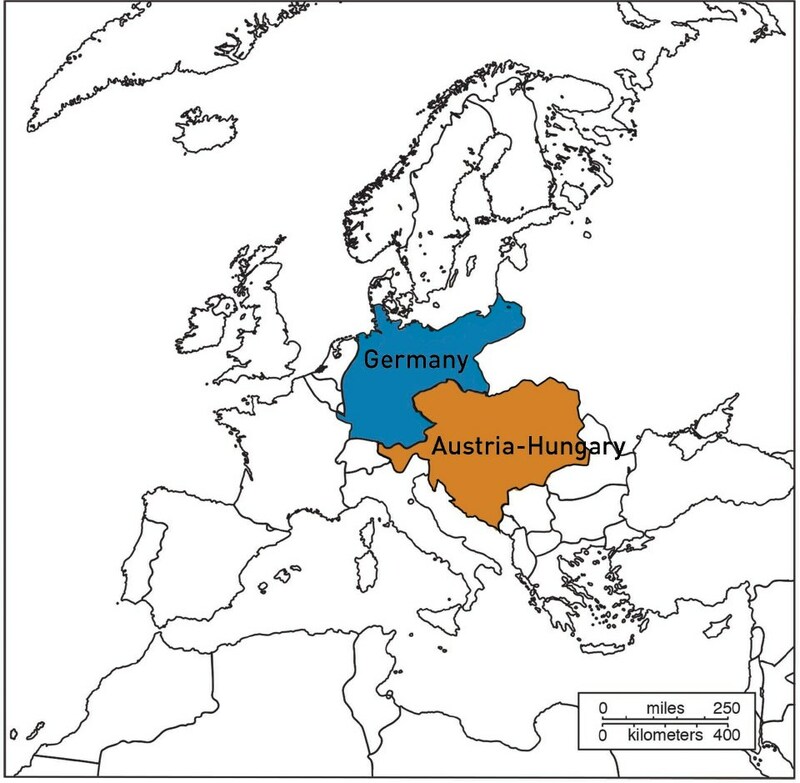 4 Show students the maps of Europe before and after 1919 and the Treaty of Versailles and have them identify how the borders of Europe changed after 1919. Have students refer back to the text and summarize the provisions of the Treaty of Versailles in addition to the change in borders. Julia Lentini describes wanting to join the Hitler Youth along with her friends. What made the Hitler Youth attractive to her? What are some possible reasons why her parents wouldn’t let her join? How does Margaret Lambert say things changed in Germany after 1933? How did her personal relationships change? What kinds of things was she forced to give up? 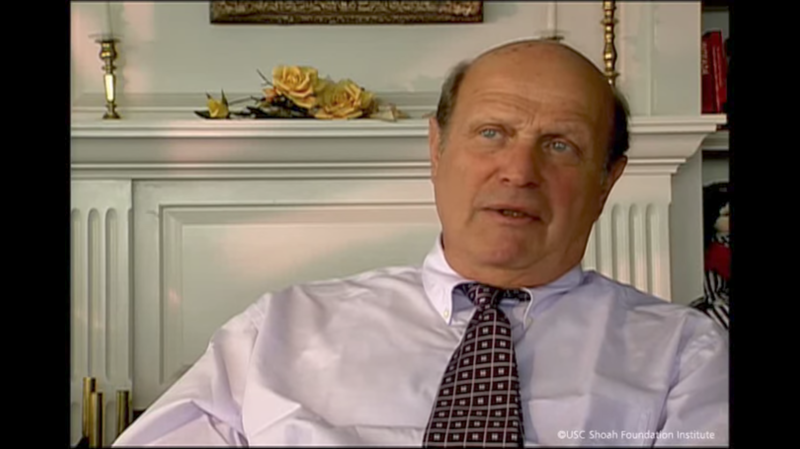 What are some of the specific ways that Herman Cohn says his life changed after the Nuremberg Laws were adopted? Herman says that things were much harder for children than for their parents. Why did he feel this way—what specific examples does he share to support his assertion? 2 Provide each student with a copy of the activity What Rights Are Most Important to Me? Have students take a few minutes to rank the choices in order of importance from 1 (most important) to 9 (least important). Looking at the chronological list of laws and decrees included on the handout, why could this be called a “build up of anti-Jewish policies”? What spheres of life do the laws and decrees affect? Into what groups could you divide them? Which belong to which sphere? Where does the idea of race appear in the decrees and laws? How do you think a Jewish person might react to all of these restrictions and laws? How do you think a German might react to these policies? What would you imagine the overall atmosphere in Germany to be during this time? 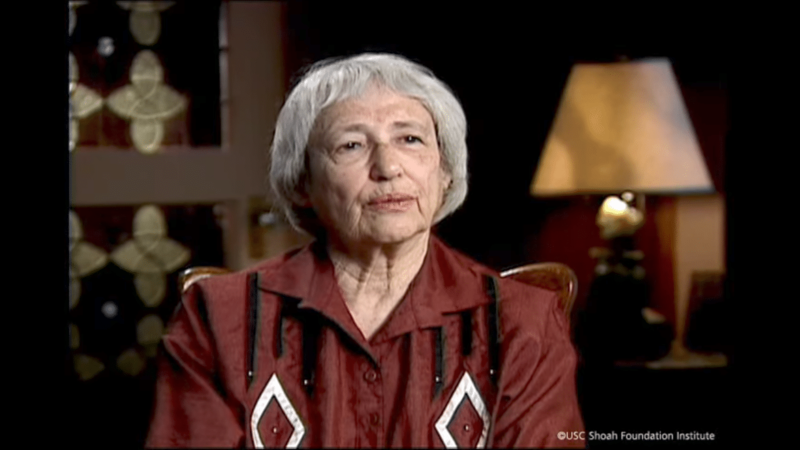 After listening to Esther Clifford’s testimony, what picture do you begin to create in your mind about her experiences during the Kristallnacht Pogrom? What does she say she saw and felt? 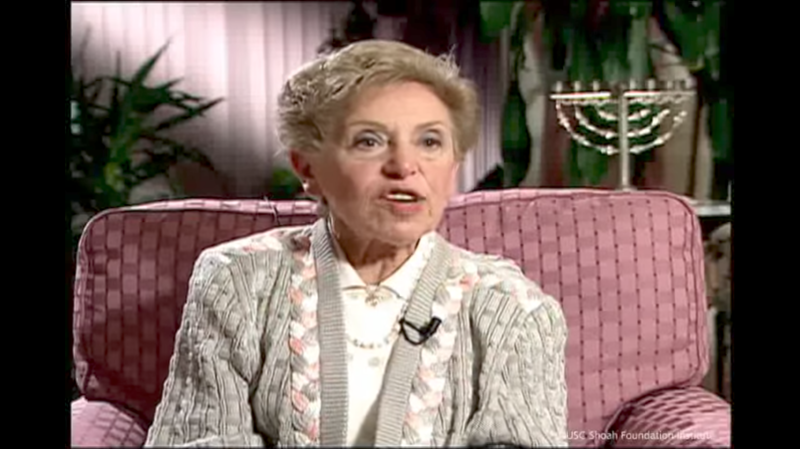 What does Esther say in her testimony that supports that the Kristallnacht Pogrom was a government-sponsored terrorist action against the Jews of Germany and Austria? 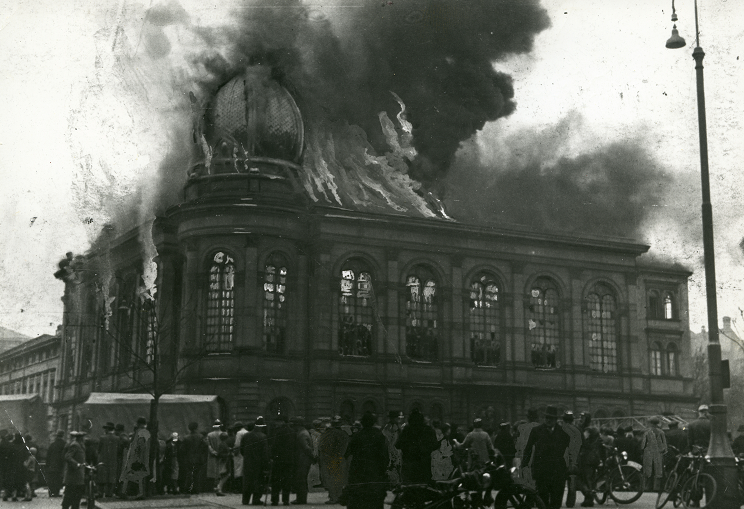 Do you think that the Kristallnacht Pogrom reflected a turning point for Jews in Germany? On what have you based your response? What questions come to mind as you look at this photograph? What are the people in this photograph doing? What are they not doing? In your opinion, did the people in this photograph have a role and responsibility for this event? Explain your answer. What would you title this photograph and why? Would you identify most of the people in this photograph as “bystanders”? Explain your answer. Who do you think the concentration camps influenced and how? How do you think the use of concentrations camps may have furthered the Nazis’ goals for German Society before the war? 8 Conclude this lesson by having students summarize how Germany had changed for Jews and for Germans in the six-year period from 1933 to 1939. 1 To begin this lesson, introduce students to [L]Esther Clifford[/L], [L]Alfred Gottschalk[/L], and [L]Ellen Brandt[/L] and show their testimonies. Follow with a discussion using the questions below. 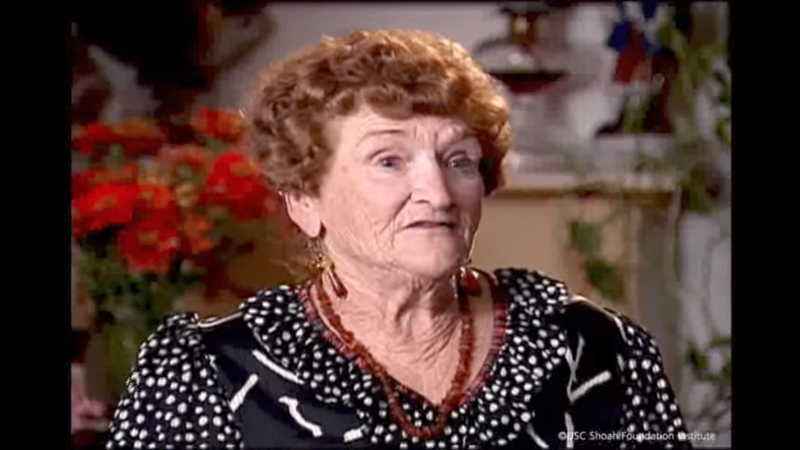 What did Esther Clifford describe as the turning point for her family? Where did they want to go and how did they try to accomplish their goal? According to Esther, how did countries around the world respond to Jews trying to leave Germany? What evidence is presented in Esther’s testimony that supports the idea that the Nazis were set on destroying the economic life of Jews? How did Ellen Brandt respond to what was happening around her in Germany at the time? How does she say she changed? According to these testimonies, in what ways did the daily routines of German Jews change during the years 1933–1939? 2 Show students the Pyramid of Hate. Review each part of the pyramid by having students refer to the Glossary for the definition of each term used and by presenting examples for each section (e.g., scapegoating–blaming immigrants for lack of jobs). 3 After reviewing the model, have students consider how prejudiced attitudes might, if left unchecked, eventually lead to violence and encourage them to share examples that illustrate the progression through each part of the pyramid. 4 Divide the class into groups of four or five students. Provide each group with a piece of chart paper, markers, and sticky notes. Have each group select a recorder. Instruct the recorder to draw a large pyramid on the chart paper and divide it into the four sections, labeling each section. 5 Have group members work together to identify examples for each part of the pyramid from the visual history testimony that they have watched and from the Nazi Germany and Anti-Jewish Policy handout, write them on the sticky notes, and affix them to the chart paper (e.g., Jews dismissed from civil service would be placed on the “Discrimination” section). Not all events need be used, but students should be encouraged to have at least four examples for each category. Students may not agree on the placement of events and should be encouraged to share their thought processes in arriving at consensus. Which parts of the pyramid primarily reflect acts by individuals? Did the events on this pyramid always follow an upward progression or were there instances when the actions would represent an earlier segment of the pyramid? (e.g., violent acts followed by acts of discrimination and then back to violent acts again) What are some possible explanations for why this might have happened? Explain how the Kristallnacht Pogrom represented an escalation of anti-Jewish acts. Which parts of the pyramid reflect state-sponsored acts that need government support to continue? 7 Raise the issue of personal responsibility by introducing the following quotation by Reverend Martin Niemöeller, a German Protestant minister who survived Sachsenhausen and Dachau concentration camps where he was sent because of his outspoken criticism of the Nazi government in Germany. 8 Ask students to consider the role of the individual in the events that surround him or her, using Reverend Niemöeller’s words as a catalyst for the discussion. Why do you think Reverend Niemöeller did not “speak up” when Hitler’s government began its persecution of various groups in Germany? Why do you think it was difficult to oppose the government’s actions? At what point in the escalation of anti-Jewish policies in Nazi Germany did non-Jews have a responsibility to interrupt what they saw happening? What actions could they have taken? Do you think it is difficult for individuals to do these kinds of things? Why or why not? What is the cost to the individual who does not act to interrupt injustice? What is the harm to the victims? What is the harm to society as a whole? Thinking about the key events that you have learned about in this lesson/unit, what, in your opinion, is the power of peer pressure? The questions below, used in class or as homework, prompt students to reflect on what they are learning and its meaning in their own lives and in society. These queries are excellent for journaling, allowing students to create their own primary source material. Keep in mind, the sensitive and emotional nature of the topics may preclude teacher evaluation. If journaling is used as an assessment tool, assure students that they will not be evaluated negatively for expressing opinions that may be different from others in class or from the teacher’s. Write a journal entry from the point of view of a fictional person living in Nazi Germany during the years 1933–1939. In addition to telling things like your name, age, town, and occupation, give your thoughts about what is happening to the Jews in Germany at the time. Desecrating or destroying places of worship is an all-too common form of violence in both historical and contemporary times—in the United States, the bombing of Atlanta’s oldest synagogue in the late 1950s, burning down African-American churches across the South in the mid-1990s, and vandalizing mosques in the Midwest following 9/11—are but a few examples. Why do you think places of worship are so often the targets of hate? Ellen Brandt shares in her testimony that as a response to what was happening in her life during the 1930s, she became both politically active and intensely religious. Write about a time or event in your life that you feel has helped to shape your identity or influenced how you view yourself. Some historians point out that the majority of Germans were indifferent to the plight of Jews. Their attitude was not rooted in hatred, but rather in complete apathy. Why might it have been that so many people simply didn’t care what happened to their former colleagues, neighbors, and, in some cases, friends? Do you see examples of apathy in your school, community, country? Why do you think people become apathetic toward problems that others may be facing? Write about a time when you spoke out against a rule or policy that you believed to be unfair. What was the situation? What caused you to act? How did others view your actions? How did the situation end? How did you feel about what you had done? The additional activities and projects listed below can be integrated directly into the lessons in this unit or can be used to extend lessons once they have been completed. The topics lend themselves to students’ continued study of the Holocaust as well as opportunities for students to make meaningful connections to other people and events, including relevant contemporary issues. These activities may include instructional strategies and techniques and/or address academic standards in addition to those that were identified for the unit. 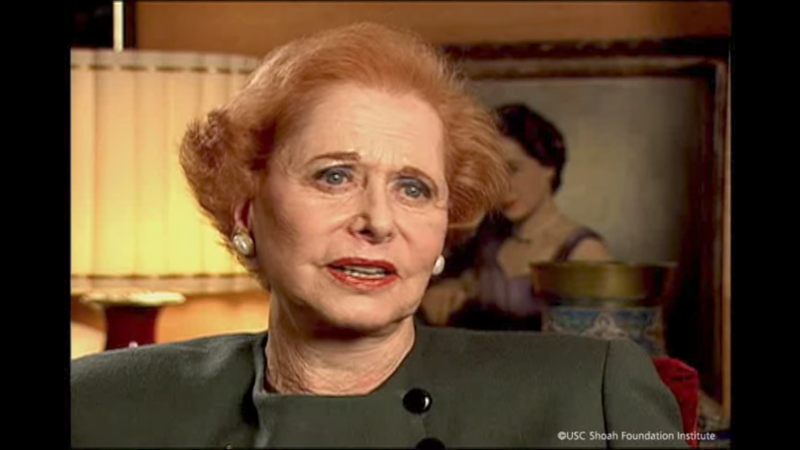 1 Visit IWitness (iwitness.usc.edu) for testimonies, resources, and activities to help students learn more about the topics covered in this unit, including the Nuremberg Laws, the Kristallnacht Pogrom, and life in 1930s Germany. 2 After conducting research on another group targeted by the Nazis (e.g., homosexuals, Sinti- Roma, Jehovah’s Witnesses, people with disabilities, political dissidents), have students prepare a written, oral, or multimedia report on their findings. Students should consult multiple sources of information presented in diverse formats and media as part of their research. 3 Share Reverend Martin Niemöeller’s quotation included in the A Model for the Escalation of Hate lesson or the poem form included here. Review the historical context for the quotation. Have students think about events taking place in their time and update the text to reflect their feelings about a particular situation taking place in their school, community, country, or in the world at large. Have students post their work on the class wiki, blog, or website and invite discussion on the topics raised. 4 Have students use online resources to research and prepare a graphic that shows the immigration of German and Austrian Jews from 1933–1939. 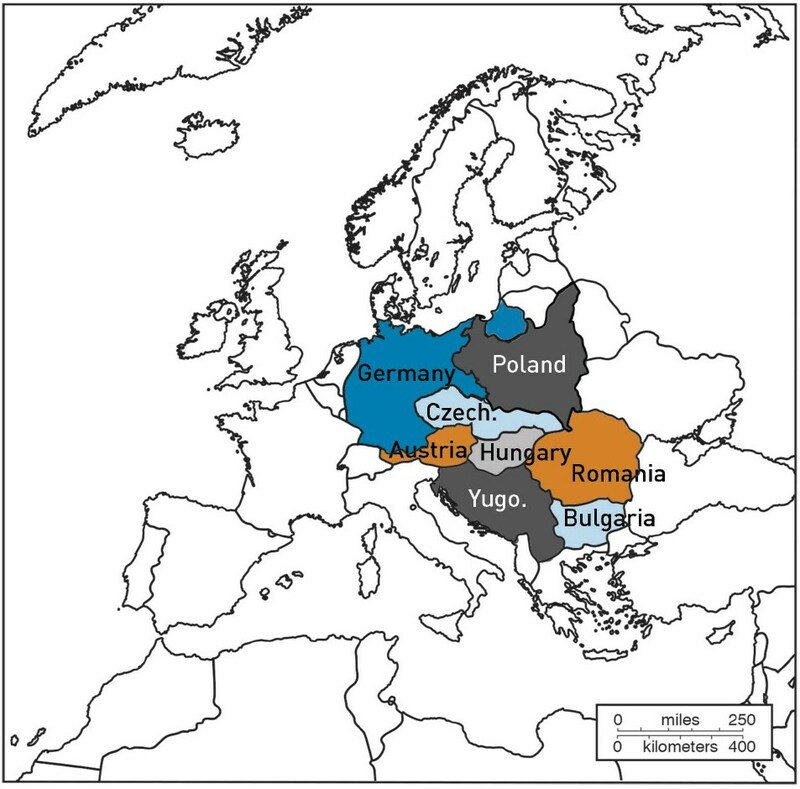 The graphic might include the number of Jews who relocated to Israel (then known as Palestine), the United States, Canada, Latin American counties, Shanghai, Spain, and other areas of Europe; quota systems that were in place in various countries; what was needed to emigrate from Germany and Austria, etc. Students should be prepared to explain their findings. 5 Dr. Seuss, born Theodor Seuss Geisel, drew nearly 400 political cartoons for the New York daily newspaper PM between January 1941 and January 1943. In the cartoons, he expressed his support for the war against Hitler while criticizing the slow-to-act American political bureaucracy and organizations/politicians that were opposed to the war. Have students select one or more of these political cartoons, which can be found online or in Dr. Seuss Goes to War (New Press, 2001) and determine the artist’s point of view or purpose in creating the cartoon; analyze both the message and the medium; and comment on the overall effectiveness of the cartoon. 6 Several survivors in this unit describe the verbal and physical harassment they suffered at the hands of the Hitlerjugend (Hitler Youth). To help students better understand the history and purpose of the Hitler Youth, provide an opportunity for them to gather relevant information from multiple print and digital sources about this organization and present their findings in a form of their choice (written, oral, visual). Encourage students to explore Susan Campbell Baroletti’s Hitler Youth: Growing Up in Hitler’s Shadow (Scholastic, 2005) for diaries, letters, oral histories, and historical photos from youth who followed the Nazi Party. The class might be divided into small groups, each responsible for a particular aspect of the whole topic. Suggested questions for research are outlined below, but students should be encouraged to develop their own questions as well. When was the Hitler Youth started and by whom? What was the original purpose of the Hitler Youth? How did the Hitler Youth change over time? Who was expected to participate in the Hitlerjugend and at what age? What role did propaganda play in shaping the beliefs, thinking, and actions of German youth? What were some of the activities that boys would participate in as members of the Hitler Youth? What messages were conveyed to the members of the Hitler Youth? How were these messages reinforced in the classroom? What were the goals and activities of the League of German Girls (Bund Deutscher Mädel), the female counterpart to the Hitler Youth? How many boys belonged to the Hitler Youth at any one time?